BTS is very, very big, and the leading edge of a K-Pop wave that is enveloping a far larger audience than ever before. As we noted recently, the South Korean lad band is scheduled for two Rose Bowls as part of their massive global stadium tour; is a third in the offing? What no K-Pop outfit has had yet is a big hit in the West. 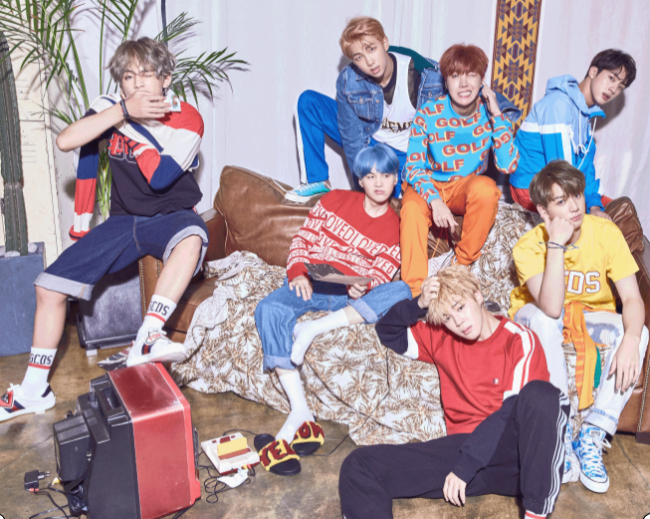 The group drops its new Big Hit/Columbia EP, Persona, on 4/12 (the day before they appear on SNL); could it contain a single that unlocks an even more massive chapter? Meanwhile, news has just arrived that Mattel is rolling out a line of BTS dolls, to be available in September. Or action figures, if you prefer. Collect 'em all! There will also be a BTS-branded UNO deck to accompany them.